What did Chris think of Disneyland? To set the scene, Chris is my boyfriend. He's 26 years old, quite quiet, very sensible and thinks I have the personality of a six year old, little girl... so he's also pretty observant! Oh, and until now, he had NEVER been to a Disney park. Not once. In fact, the idea of going away on holiday to Disneyland, was his idea of hell. How could I have a relationship with a man who would 'never' go to Disneyland? Fast forward two years later... never say never Chris! For the first time on this blog, I am going to take a backseat as this really isn't about my experiences. I was fascinated to see what it would be like for an adult male to experience a Disney park for the first time ever in his life and I hope that you too find this post just as interesting as I have found writing it. I would like to dedicate this to the intrigued, the stubborn and all the other 'Disney' girls out there praying that they too can convince their 'Grumpy' to become 'Prince Charming'. This is Chris' story, raw and unedited. Mercedes: Tell me in your own words, why you were so adamant that you didn't want to go to Disneyland and why did you think it would be so awful? Chris: I guess there are so many other, better places that I would like to go in the world and I had no interest in wasting my time and money by going to Disneyland... what I mean by that is that I have a limited amount of funds and holiday allowance each year and Disney wasn't high on the 'to do' list. Also, I don't have very much interest in Disney so the theming at Disneyland is lost on me. Mercedes: What about Star Wars? You love Star Wars. Chris: One of the mitigating factors of going to Disneyland in 2016 is that they have now acquired the Star Wars franchise which I do have interest in. I really enjoyed Star Wars Launch Bay however, Shanghai need to get their act together as currently, it's tucked away in a corner and has very little footfall. Although this did mean no queuing to have a photo with Darth Vader, the atmosphere was a little flat. I wouldn't mind going to Hollywood Studios as you've told me that it's basically becoming Star Wars land soon. Mercedes: Okay, so we're back now, you survived, you're alive, you didn't die. Was it as bad as you had imagined it would be? Chris: Not quite as bad.. I'd never really imagined that it was going to be awful, I'd just never wanted to do it. I like theme parks but as I said, I don't like the theming of this park so I don't really have any interest is spending loads of money there... but, that being said, it wasn't awful. 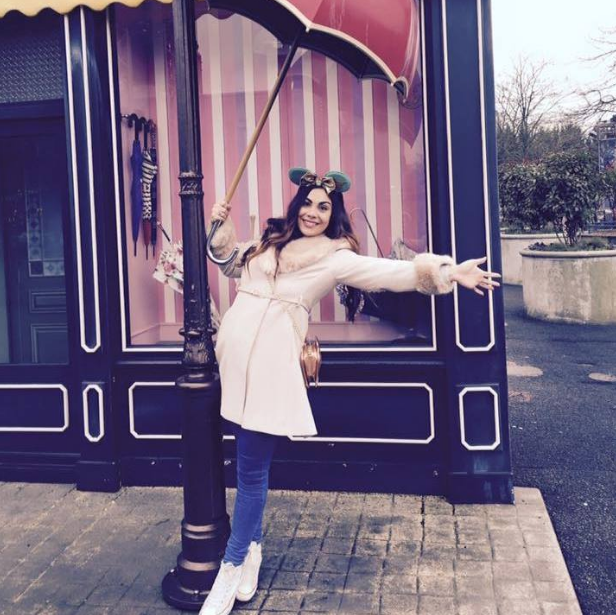 Mercedes: What was your favourite part of Shanghai Disneyland? Chris: The restaurants, in the umm... bit outside. Chris: Yep. They did a really good steak at Wolfgang Puck. I liked Soarin' and Pirates of The Caribbean as well. 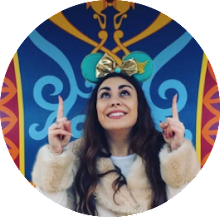 Mercedes: What was your worst experience in Shanghai Disneyland? Chris: The Peter Pan ride. Mercedes: What did you not like about it? Chris: It was really boring. It felt like it was from the 70s. Mercedes: It probably was! Did anything in the park surprise you or make you think 'WOW, this is really weird, I didn't realise they did stuff like this'? Chris: The parade was better than expected, it was actually a bit entertaining even though I don't really care about the characters or anything. It was a bit of a spectacle. He's right, it certainly was a spectacle. Mercedes: Can you understand the appeal now? 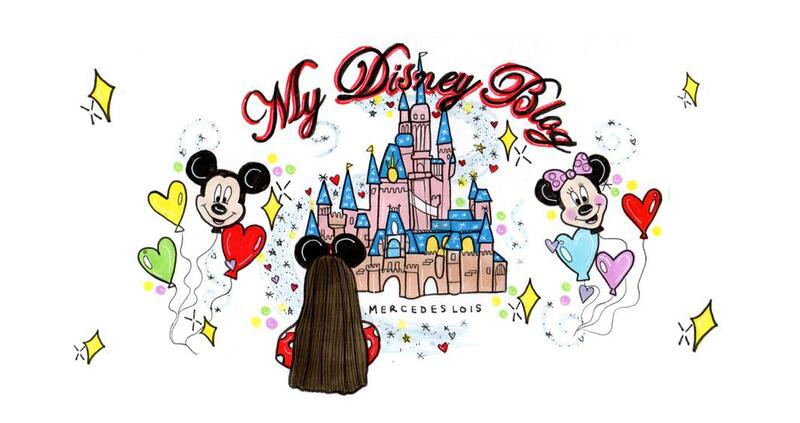 Mercedes: You mentioned Disney's Hollywood Studios before, would you ever consider going back to Shanghai Disneyland or maybe some day visiting Paris, Orlando, California or any of the other Disney parks? Chris: I won't be rushing back to another Disney park because there are too many other things to do in the world. Mercedes: Is there anything that we did during our visit because I had planned the trip that maybe you would have missed out or you would have done differently? Mercedes: We did all the rides. Chris: Oh. There's not very many rides. I would have liked more roller-coasters. Mercedes: So if you were going to go somewhere like Orlando, you would want to go to places like Busch Gardens that have got more 'thrill seeker' attractions? Chris: For someone who doesn't find that the theming really adds to the rides, I would want more thrilling attractions as opposed to the themed rides. Mercedes: You mean the dark rides like Peter Pan and Seven Dwarves Mine Train? Chris: Yeah. That being said, Pirates of The Caribbean was very good and Soarin'. Those aren't really 'thrill seeking' rides but they're very clever, the technology was VERY clever. The way it made you feel that you were moving when you weren't and that kind of thing. Mercedes: Did it make you happy to see me in my natural habitat? Chris: I'm glad you had a good time. Mercedes: Did you not have a good time then? Chris: Umm, it wasn't that bad. For a couple of days, it wasn't the end of the world. I liked the hotel, the hotel was very nice as well, I forgot about that, it was probably the nicest hotel I have ever stayed in and the staff at the hotel were very good. The staff generally were quite good. I do find the 'dressed up characters' a bit weird. Like the 'non-face characters', they were a bit strange for my liking. Mercedes: So you found the 'face characters' more 'normal' than the 'fur characters'? Mercedes: So you found Mickey weird? Mercedes: Oh, okay. Finally, if somebody reading this has a 'Disney-mad' partner but they really don't want to go, would you have any words of advice? Chris: Hold out for as long as possible.